This week will focus on the ability to effectively and creatively engage with digital tools in classroom instruction. Finding the tools that fit the purpose, intention and pedagogical focus is the first challenge. 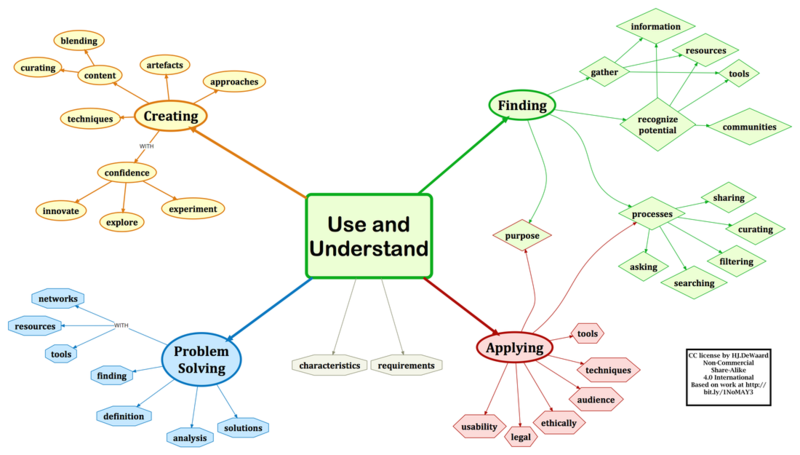 Evaluating each tool's affordances and efficacy requires a focus on problem solving and creating. Confidently exploring, innovating and analyzing creative solutions with digital approaches, techniques and content is essential to making informed and critical decisions. Consider how resources shared in Cube for Teachers, or shared with a Creative Commons license, can influence our use and understanding. Stepping back to take an informed look and establish a critical viewpoint can shape your use of digital technologies. As you explore and tinker with apps, software, and hardware, question the affordances and efficacy of the digital resources you are using. ​What works best for student learning? What doesn't work well and why? ​Why did this tool create these results? How did my teaching or my biases influence the outcomes? The All Aboard graphic image is designed for higher education but much is applicable to work done in K-12 education. Where do you find connections to your own teaching experiences. Follow each of the coloured lines to see which skills are included in each group. Take a closer look at this map from the interactive version found HERE. Watch the short video clips at the beginning of each of the coloured subway lines on the image. Follow each line to see what elements are included. As you travel around this image, find locations that are familiar to you. What are they? What areas are foreign or unfamiliar territories? 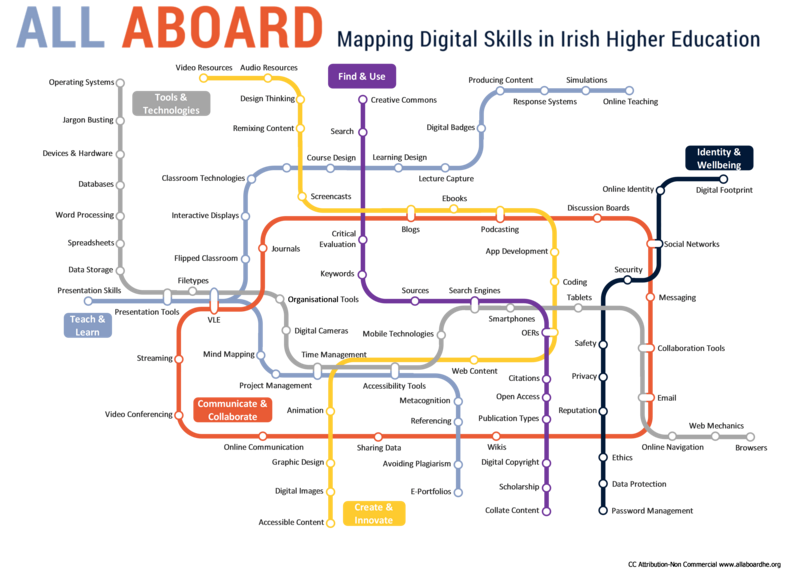 How can this map shape your critical digital literacy journey as a teacher? How does this map apply to your work with students in the classroom? Explore the All Aboard interactive map. Find areas of familiarity and new territories. View the videos below to learn more about Creative Commons licenses and Cube for teachers. Start a Cube for Teachers account where you can collect and share resources. (see videos below). Connect with your instructor as a starting point for your Cube work. ​From the All Aboard image, where do you find familiar locations or foreign landscapes? What tools and resources have influenced your critical digital journey into teaching, both positive and negative? How can creative commons licensing support you to find, apply, problem solve and create with a variety of digital resources? Respond to your group members in SLACK to provide support for their Inquiry Project ideas as shared last week. Connect with your OnEdMentor this week (or another agreed upon time). Share what you've been doing in this course and find out how this connects to the work your mentor is doing in the classroom. Complete the Google Form response where you will 'sign up' for a Zoom video chat being held in Week Seven, provide some feedback about your OEM Connect experience so far, and provide some feedback about the 3239CDL course experience so far. I created a slide show in Buncee (something I had not used before and wanted to try). Here is the presentation. Learn more about Cube for Teachers from Sue Kwiecien. Check out the Cube for Teachers blog site. There are more videos available on the Cube for Teachers YouTube playlist. You can also link to them on Facebook and Twitter.